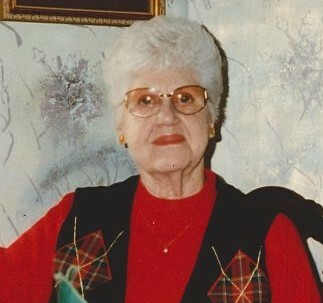 Charlotte Adams Holt, of Wurtland, died January 24, 2019, at Kingsbrook Care Center. Charlotte was born August 5, 1920, in Magoffin Country, Ky., the daughter of the late Nola Whitt Adams and Archie Adams. She graduated from Wurtland High School in 1938. She sold war bonds during the 40's, travelling the mid-western states. Also, Charlotte worked in a munitions factory in LaPorte, Ind., near Chicago, throughout World War II. In her later years, she worked at the Greenup County Sheriff's office and as a bookkeeper at Moccabee's Clothing in Greenup. Charlotte was an active member of the Wurtland Woman's Club and attended Grace United Methodist Church. Noted for her hospitality and love of cooking, she was especially praised for the fine quality of her homemade cakes and pies. She was preceded in death by her husband of 63 years in 2009, William Monroe Holt; two brothers, Ishmael and Elwood (Freda) Adams; four sisters, Dorothy (Glennard) French, Eva Gay (Willard) Nicely, Jeanette (James Thomas) Barker and Shirley Ann (Ray) Yates. She is survived by one brother, Terry Scott (Martha) Adams of Flatwoods; one sister, Betty (Rommie) Gayheart of Mt. Sterling; two sons, Stephen (Linda) Holt of Raceland and William (Barbara) Holt of Ashland; one daughter, Kathy Holt of Jacksonville, Fla.; two granddaughters, Chaille Holt of Cincinnati, Ohio, and KatyShay Kennedy of Jacksonville, Fla.
Funeral services will be at Noon, Wednesday, Jan. 30, 2019 at Carman Funeral Home in Flatwoods. Burial will follow in Bellefonte Memorial Gardens. Visitation will be after 11 a.m., Wednesday at the funeral home.